"Excellent bedside manners. Very professional and compassionate staff and Doctors." "Love the whole group. Very nice and polite." "Whatever the issue, he can handle it." Our mission is to serve Glendale, CA and it’s neighboring communities by offering primary healthcare to all people, at every stage of life and to care for the whole person in a safe and respectful healthcare setting. We also want to encourage patients to be proactive about their health by establishing a partnership with our clinicians and staff in planning their healthcare goals. It is our goal to understand and be guided by the needs of our patients and to respond to those needs with respect, quality medicine and healing. 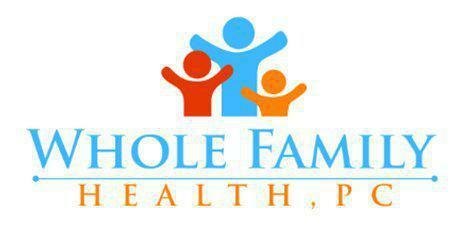 We seek to provide our community with a medical home where assistance with all aspects of healthcare is offered. We look forward to meeting you and your family. Dr. Antonio (Tony) Zamorano, or “Dr. Z” as his patients have affectionately come to call him, is a Board certified Family Medicine Physician. He graduated with a Bachelor of Science Degree in Biology from the University of San Diego and completed his medical school at the New York College of Osteopathic Medicine. As a native Angeleno, Dr. Zamorano was thrilled to return to California for his residency in Family Medicine at Presbyterian Intercommunity Hospital-Whittier; a University of California Irvine Family Medicine program. Dr. Zamorano provides pediatric, adult and woman’s health as well as geriatric care and preventative screening for all age groups. He also practices Aesthetic Medicine and Sports Medicine. Although the goal is to keep you and your loved ones out of the hospital, Dr. Zamorano has active privileges at Glendale Adventist Medical Center, Glendale Memorial Hospital, Hollywood Presbyterian Medical Center and California Hospital Medical Center, which allows him to manage his patients’ care during any unforeseen hospital admission. The benefit to you as a patient is that as your Primary Care Provider, Dr. Zamorano is familiar with your medical history and best suited to coordinate your care with hospital staff and medical specialists as needed. Dr. Zamorano is a member of the American Medical Association (AMA), the American Academy of Family Physicians (AAFP), the American Osteopathic Association (AOA), and the California Academy of Family Physicians. He is also ACLS (Advanced Cardiac Life Support) and PALS (Pediatric Advanced Life Support) certified. Dr. Zamorano is also certified in cosmetic injectables and enjoys incorporating Aesthetic Medicine into his practice. "Dr. Zamorano was attentive and provided me with great customer service." "It has been a long time since I ran into a caring doctor again. He was not quick to judge, he listened and went over numerous options with me." "Dr. Z represents his field with pride & honor & his dedication for quality health care for his patients is evident in everything he does for them."